The Car Wash Show 2017™ has an exciting lineup of educational sessions that you can mix-and-match to fit your business needs. Choose from 48+ sessions by audience and topic to customize your experience at the Show. 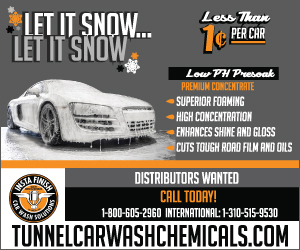 Visit http://www.carwash.org/news-landing/2017/02/21/customize-your-experience to view the full article online. The Puget Sound Car Wash Association will hold a membership meeting on March 14 at Muckleshoot Casino in Auburn, Washington. The event will feature networking and vendor member tabletops, a legislative update, labor issue update and more. Visit http://pscarwash.org/membership-meeting-2017/ to view the full article online. 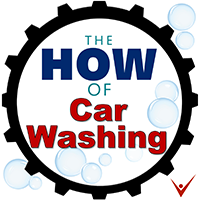 A new industry-focused podcast, "The How of Carwashing" has launched, with the goal to help provide a resource for car wash owners and operators. "We're going to be talking to industry experts in a lot of different areas," said co-host David Begin of Wild Blue Car Wash in Colorado Springs, Colorado. "This is for anyone who wants to get better in the car wash business." Visit http://www.carwash.org/news-landing/2017/02/22/the-how-of-carwashing-podcast-debuts to view the full article online. Crew Carwash, a long-standing Hoosier-based carwash organization, announces today that it is donating $12,400 to the Boys & Girls Clubs of Northwest Indiana. During its first-ever Boys and Girls Crew fundraiser, which took place Feb. 17-18, Crew Carwash provided a FREE Ultimate Wash, a $20 value, to any customer who came by the new Merrillville facility, located at 501 W. 81st Ave. Crew accepted cash and credit card donations and is donating 100 percent of all proceeds to the Boys & Girls Clubs of Northwest Indiana. Visit http://www.carwash.org/news-landing/2017/02/21/crew-carwash-raises-more-than-$12-000-for-the-boys-girls-clubs-of-northwest-indiana to view the full article online. With Central Wisconsin getting a little taste of springtime on Saturday, a Rib Mountain car wash said it is seeing a boom in business. Car Buff's car wash said they've been getting a spike in business during the mid-February warm spell, with hundreds of cars cruising through the water jets. 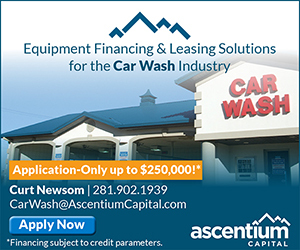 Visit http://www.waow.com/story/34539782/2017/02/18/warm-weather-brings-business-boom-for-car-wash to view the full article online. A new Costco, anticipated to serve the communities of Eastvale, Ontario, Chino and Jurupa Valley, is expected to open in Eastvale later this year with the region’s first Costco car wash, according to city officials. Visit http://www.dailybulletin.com/business/20170220/costco-to-open-in-eastvale-includes-inland-regions-first-costco-car-wash to view the full article online. Anytime Shine Car Wash recently celebrated its grand opening on Eastern Avenue in Gallipolis. Owner Nick Dobbs explained this is not any ordinary car wash and is a state-of-the-art facility. It maps a car when it enters the bay. This ensures that whether you drive a big truck or a small economy car, the jets and the brushes will be exactly where they need to be to get the vehicle clean. Visit http://mydailyregister.com/news/13052/anytime-shine-car-wash-celebrates-ribbon-cutting to view the full article online. A pirate-themed car wash officially opens in Bloomfield on Saturday, offering the ‘latest in touchless car wash technology.’ Dirt Captain Carwash is owned by Austin Harrah and Doug Dayhoff, who said they saw a need in the community and had been talking about opening a car wash for quite some time. Visit http://www.gcdailyworld.com/story/2386717.html to view the full article online. We live in a world that's highly automated. At home, you might already use lights that come up when you pass through the front door. In your car, sensors can tell you when you drift outside of a lane. Yet, in business, we often like to stick with a method that works. We enter expenses into an accounting app by hand and send them off to our accountant. With a CRM app, we collect contacts and enter the address and phone info, because that's how we've always done it. 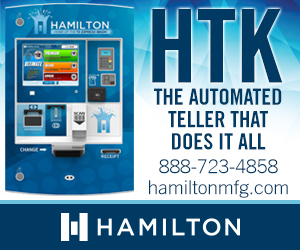 Visit http://www.inc.com/john-brandon/13-things-your-business-needs-to-automate-right-now.html?cid=hmsub2 to view the full article online. If you want to be a good leader, you've got to actually interact with those who you're leading. It seems like straightforward advice, but it can be difficult to implement. "A lot of leaders struggle with being in the weeds of their business," United Shore CEO Mat Ishbia says. "They think that they can just manage from 30,000 feet. That's not how successful companies are run." Visit http://www.businessinsider.com/effective-leaders-do-not-manage-from-a-distance-2017-2 to view the full article online. The fundamentals of marketing are the same as ever despite changing media and consumption habits, but new Marketing Week research shows customer experience, data and brand strategy have gained in importance. 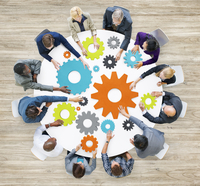 Innovations in technology and the rise of digital have changed the way marketers communicate with consumers and their growing number of agency partners on a day-to-day basis. They have also vastly widened the net in terms of skills needed and tactics used. Visit https://www.marketingweek.com/2016/05/09/importance-of-brand-strategy-data-and-customer-experience-have-grown-at-highest-rate-for-marketers/ to view the full article online. When I talk to small-business owners, they often tell me they're "doing" social-media marketing. I’m always glad to hear this, but the way they describe their process reveals they're unfocused in their efforts. They haven't truly defined a social-media marketing campaign for their brand and company. Visit https://www.entrepreneur.com/article/288609 to view the full article online. 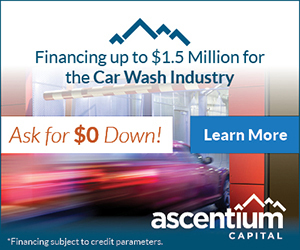 The IQ® In Bay Automatic Car Wash System by D&S Car Wash Equipment Company has surpassed the 5 MILLION wash mark. 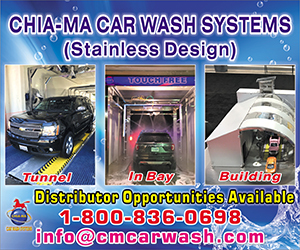 With over 226 IQ Systems now in operation in car washes and auto dealerships across the U.S. and Canada, wash counts continue to grow rapidly. 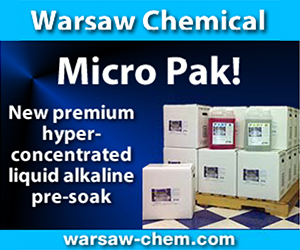 Visit http://www.carwash.org/news-landing/2017/02/22/supplier-news-iq-car-wash-systems-pass-the-5-million-wash-mark to view the full article online.